Earlier the websites were designed using static HTML code. Almost same kind of HTML code was used to load many different types of web pages. This process was time consuming and it also reduced the speed of the websites and made the user to wait for long time to get the page loaded. As the development field became more advanced, the developers can now convert the HTML to WordPress to create WordPress dynamic websites. It is widely used conversion as it offers lots of benefits to the user. Earlier WordPress was thought of only for blogging websites but WordPress can be used to create all kinds of websites. WordPress based websites have many features which make it so popular. WordPress has user-friendly interface and fast response time. Now we will discuss the top reasons why you should convert your HTML website into a WordPress site. If you have created and developed a website in HTML using earlier used static HTML website design service then you cannot make changes to it easily as changes will compromise the whole structure. While the websites which are developed in WordPress are highly customizable. The users can modify the web pages as per the requirements and according to the design they like. Therefore, WordPress is highly preferred to design business websites which can be modified whenever there is a requirement. WordPress is an open source platform and so many developers have created thousands of plugins most of which are freely available. Moreover these plugins itself can be customized as per the requirements. These plugins can be used to add many advanced functionalities into the WordPress website. Therefore After converting your HTML site into WordPress site, your website can have so many features and functionalities to offer to its visitors using these plugins. WordPress developers incorporate so many features into WordPress website development which makes it SEO-friendly. WordPress development is done according to search engines where the WordPress websites can be easily accessed through it. The WordPress development is done in such a way that it allows the search engine to scan through the categories, pages and posts to get all the information from the website. WordPress also allows the users to optimize their websites as per the SEO guidelines which helps them to increase the search engine rankings of their websites. WordPress is an open source platform and developers from around the world are constantly working to improve it. Therefore WordPress has created a huge open source developer community which interacts with each other through internet forums, groups and networks. These communities often organize online and physical meetings among the members. You can learn so many things by becoming member of these communities. Also while doing WordPress development if you face any issue or problem you can ask in these forums or communities and resolve it immediately. Hence you will get lots of support from WordPress community if you convert your HTML site into WordPress site. We have discussed some benefits which you will get after converting your HTML website into WordPress. WordPress offers lots of features which a normal HTML site can’t. WordPress is also SEO friendly and if you are running a business then it will get more chances of growth under WordPress website as your website will be better managed and it will be highly customizable. A WordPress developer has a large variety of tools that can be ditched. There are large number people who want to know about WordPress development tool because WordPress has been expanded from past being just a blogging platform. 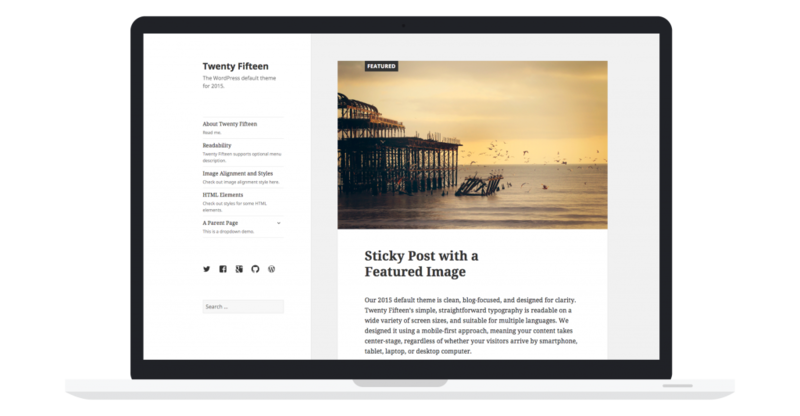 It is now considered as the most preferred CMS for bloggers and developers. Usually, people are confused by the frequent release of trends and tools and expect something which is fast and efficient to build their business. So if you hire a professional WordPress developer that work in theme development or technical support, there are a variety of products that can be developed on WordPress platform. Here is the list of best development tools for WordPress developer that can help to develop a successful WordPress website. A Developer is one of the excellent plugins for developers. It recommends and installs plugins related to the development area. It provides links to all the plugins which require along with additional settings that are crucial for any WordPress development environment. This plugin is new for those who are using WordPress for the first time and get access to all the essential plugins that experienced WP developers may use. This plugin is suggested for woocommerce developer. It allows for quick and easy testing of multiple woo commerce widgets. It is the tiring and monotonous task, especially if you have to repeat it on more than one test site. The Monster widget merges all 13 core widgets into a single widget which enables the theme developers to create multiple instances with ease. This widget cannot be used in production. It helps the WordPress developer’s to test the themes and plugins in RTL mode. 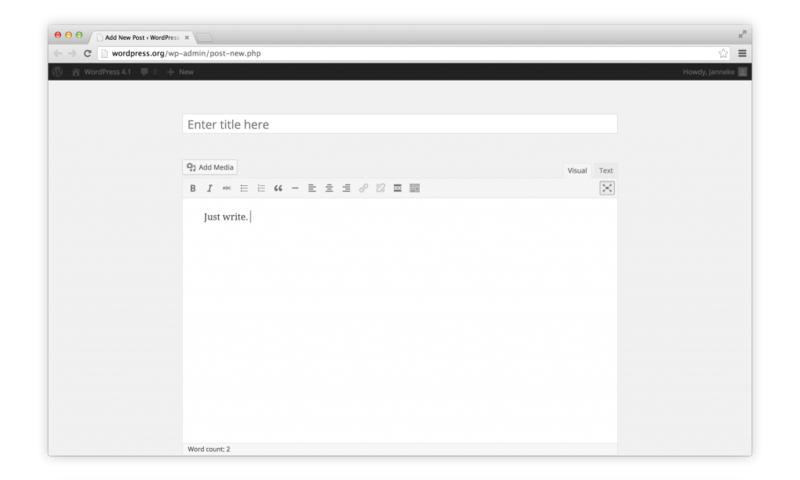 It offers a button in the admin bar and allows the admin to switch the text direction of the site. It can also help the WordPress developer to check its theme and plugins with Right To Left (RTL) text direction. Approximately 200 million people are using this tool, but the only difficulty that comes in it is simulating an RTL environment, but its Tester has brought some rescues. This tool helps to regenerate its thumbnails after changing the thumbnail sizes. It is too convenient if a WordPress developer has changed any of your thumbnail dimensions. This can be done after uploading images or have changed to a theme after different featured post image dimensions. You may run it loose on your media or go through all of them. Theme Check is another great tool to check the efficiency of your themes according to the latest WordPress standards and practices. It tests the theme and makes sure it is matching with the latest theme review standards. With the help of this tool, you can run all the automated tested tools on your WordPress.org theme which are used for theme submission. It checks through a simple admin menu and displays its result at once. It is very handy tool for WordPress theme developers or anyone who wants to make sure that their theme supports the latest WordPress theme standards and practices. Since WordPress formation, we have found that there are many amazing tools at disposal. It is not necessary to jump on each bandwagon which you come across. But certainly, there are some amazing WordPress tools which are made to fasten programming. The above mentioned are few best tools that can be used for WordPress development. Try them out! Duplicate content is an area of concern for Blogger or WordPress developers. Duplicate content is one of the key factors responsible for not getting more users visits or leads on your website. People keep on wondering and pondering over the reason behind their persistently failing search engine optimization technique, wherein they fail to realize that their content is the main culprit which is works as an anchor to hold them back. Now you might be contemplating the reasons behind this and some of you might think that UI design plays a strong role wherein there results are a cumulative results of several factors. The logic is very simple as we know that there are bots that crawl the websites, therefore looking at the similar content, they get confused so as to choose which particular page they need to visit. This point is where your content strategy fails, and you are unable to reap benefits from your content. When we choose WordPress so as to develop our website we do get a lot of perks such optimized theme, a responsive web design, as well as SEO optimized website and several other benefits. Despite all the perks, there is one single factor which needs the utmost attention of a web develop and this is the issues Duplicate content as on this a lot of things depend on. Therefore, in this blog, we will discuss ways in which we can efficiently tackle the means to avoid this grave issues on which a lot of crucial factors are contingent upon. Foremost Question: How to identify duplicate content? There are times when people know that they have accumulated duplicate content on their website, and they somewhere know the reasons behind it as well. However, the main thing is to assure that you have duplicate content on your website which is certainly plagiarism between your pages. To find the duplicate content, you can make use of some search operators as they prove to be quite useful so as to see duplicate content. This is one of the best technique to search duplicate content about that keyword. Another method is by using a search engine, and there you need to type the URL of your website into the search bar and the check the search results. Then you need to go through all the results and then find out the pages of your website that are indexed by the search engine. This is one of the ways to check the duplicate links which ideally should not have been present in the search results. Those who are running a big website that does not include several pages then one can easily practice the aforementioned tricks quite easily. But if you own a WordPress website with a plethora of pages then it would be quite difficult for you to practice the steps mentioned above. For this, you need to automate your task and make use of tools to pick up the duplicate content as it will save your time. You can also make use of Google Webmaster tools as they are the best choice for this. Make use of Google webmaster tool as this allows you to find pages that have a duplicate title as well as duplicate description and this is certainly not a tough task. Then you need to go to Search Appearance, and look for HTML improvements present there and click on it. There you will get to see the duplicate description. 1. One of the easiest and the simplest way to avoid duplicate content is to stop creating them in the first place. Make sure that you do not create printer friendly pages as they are of no use. As it is one of the reasons why you need to avoid creating them and this will automatically help you cut out the duplicate content. Do not forget to disable your session ids that are present in the URL. Moreover, if there you have two versions of your website which is the www and non www which are accessible then make sure that you only stick to the only version and then redirect all the other versions of this website. Moreover, do not forget to disable the feature of pagination on your website. This is one of the most used techniques for those who wish to tackle the issue of duplicate content. In this, you need to redirect the traffic from your duplicate page to the original one. Another practice that one can follow to remove duplicate content is through a rel=canonical tag. This tag is quite an important tag which is used when you cannot avoid the redundant content. However, you know this through some wrong Url. Those who wish that the search engine does not get indexed on a particular page then one can make use of Meta tags. This practice is one of the best practice that you need to do for those who wish that the page needs to be available only for the users wherein it do not get indexed on the page. Duplicate Content is quite a significant problem for all kinds of WordPress blogs as well as a website. It is one of the biggest obstruction to get fruitful results from your SEO techniques and affects your search engine rankings big time and carves quite a bad impression of your website. This issue is quite bad for the user experience that you render to them. And is one the prime reason why you need to keep a check on the duplicate content every time. Moreover, using unique content is one of the biggest factors that helps you to boost the search engine rankings for your business. WordPress is about to complete 13 years in web development and with so much time comes a lot of commitment. And over these years, we can clearly see that the developers have embarked on a new level of development to render seamless performance. With advancement in this field we now have several tricks that can improve the performance of our WordPress website. In this blog, I have shared some tried and tested tips that can help a WordPress developer to considerably improve the performance of a website. Before we straight away jump to the optimization tricks you need to make sure to know the current speed of your WordPress website , thus the first thing is to test the speed of your website first, as this will help you to see what all improvements you have made after the making the changes. This is one the best ways to find out gray areas of your website on which you need to work improvement. To test the speed of your website, you can make use of the following tools that can help you to test the performance of your website. Now that you have got data related to your WordPress website performance and speed, the next step is that you need to isolate the problems as per their level of severity. One of the best thing about this is that it assures you that whether you have a room to use a plugin or not, along with this you can even opt for any other WordPress theme. Apart from this, we have another quite important alternative which is using tools such as Theme-Check, P3 (Plugin Performance Profiler), Debug Bar, and several others. For instance, we have the Plugin Performance Profiler that works as an excellent tool that breaks the loading time of your website as per loading of the elements. Another important thing is to choose the best web host for your website so as to form a strong base in order to make your website perform seamlessly on all the devices irrespective of their shape and orientation. Moreover, you need to remember the fact that every hosting plans will not render you top notch services, more importantly, when you choose to opt for hosting provider at a reasonable rate. Apart from this, you need to very precisely pick quite a suitable hosting plan that can fit your specific needs of your WordPress website. Following are the plans that one can opt for hosting their website. There is a big misconception among the newbie developers that stuffing the website with too much content or component certainly affects the performance of your website. This is the reason your WordPress site might require very less housekeeping so as to continue to make sure that they are performing appropriately. We can obviously not say that the more is the size of the data, the more will be the time consumed in loading that particular website. More importantly, you need to enable gZIP compression for your web server as this is a great step in reducing the size of the data. We need to make sure that the gZIP which is enabled on the server is certainly a compressed version which gets requested on the webpage or file which is downloaded by the web browser. This is not it as the browser decompresses the data which is received before we interpret it. Moreover, this is quite an important task that reduces the information transferred, and this drastically reduces the page loading time.